Arizona execution protocol states that prisoners are to be injected with 50 milligrams of hydromorphone and 50 milligrams of midazolam. Wood was injected with 750 milligrams of each drug. Wood was only the 2nd inmate to be executed using this drug combination. 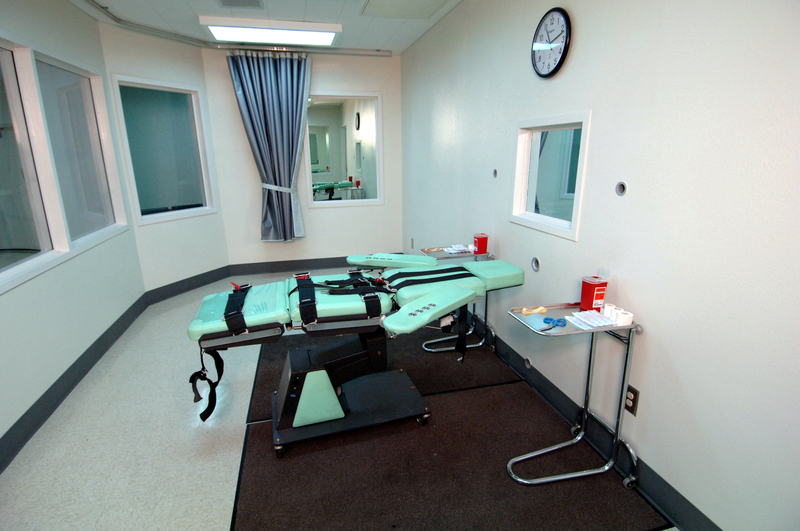 The first died after 25 excruciating minutes in an Ohio execution chair. Gov. Jan Brewer ordered a review of the state’s execution process, saying she’s concerned by how long it took for the drug protocol to kill Wood. The Arizona Department of Corrections said Friday it is seeking an outside investigator for the independent inquiry. Ryan, the corrections chief, has denied that the execution was botched. State officials continue to argue Wood did not suffer and maintain he was sedated throughout the process, despite the fact that he was recorded gasping some 600 times before he died. Wood’s attorneys unsuccessfully attempted to get the state to stop the execution once it became clear things were going awry. Shortages of pentobarbital and other lethal drugs used in executions have led states to engage in gruesome experiments resulting in cases like Wood’s. Major drug companies have stopped supplying the government with execution drugs, but states have refused to stop executing people despite the shortages. What kind of disgusting torture will inmates be forced to endure before states halt their executions?